Discussion in 'Toilet Forum discussions' started by herbolaryo, Jul 15, 2007. What are the Pros and COns of Using the Wax Free Gasket versus the ordinary Wax Gasket on Toilet? Are there situation where you can't use Wax Free gasket? Sometimes the Better Than Wax is not the right sizing. I prefer wax over the wax-free. When you install/replace a toilet, it should be a permanent scenario. From a service perspective, I've been the lucky guy to financially prosper from horned wax rings or those new fluidmaster waxless adaptors that jar loose during install, and leak. I've heard some of those waxless work but I go with what works for me and from the guidelines of liability. If I use the waxless by Fluidmaster, I push it on the bottom of the bowl. Sometimes if the flange is low, it can be a good way to go. Doing it that way, it seems to work. If I use wax, I set it on the flange. If the flange is higher than the finished flooring, then a single wax on the closet flange works. If the flange is lower than the finished flooring, I stack two wax rings. A regular wax down first, and then a wax with horn over that. The toilet then sets down over that and compresses the wax. Since this flange was above the flooring, one wax ring worked. I have only used a couple of waxless rings. The main problem is you almost have to have second person to ensure you are setting it down exactly over the hole and straight down or the adapter can be dislodged. What is the supposed benefit to these waxless devices? Just the fact that it's wax-free? If for some reason you find yourself pulling your toilet to clear debris (toys, etc. ), not having to replace the wax seal can be a time saver - no wax cleanup, and you don't have to have a new seal on hand each time. It also compensates for an improperly or less than ideal installation of the flange since it has a built-in horn to direct the waste to the drain. So, instead of having to use multiple wax rings, you only need the waxless seal. As I think back over posts from the past on this, it seems to me that it's largely a matter of personal choice. I'm sure many pros stay with the wax rings because that's what they have become accustom to, they know they will work, they don't mind (too much anyway) the messy clean up when they have to pull the toilet up. That said, there are also a number of pros that use the waxless rings at least sometimes, also with good success. The waxless rings are widely used, and they seem to be trouble free. Use what you feel good about. 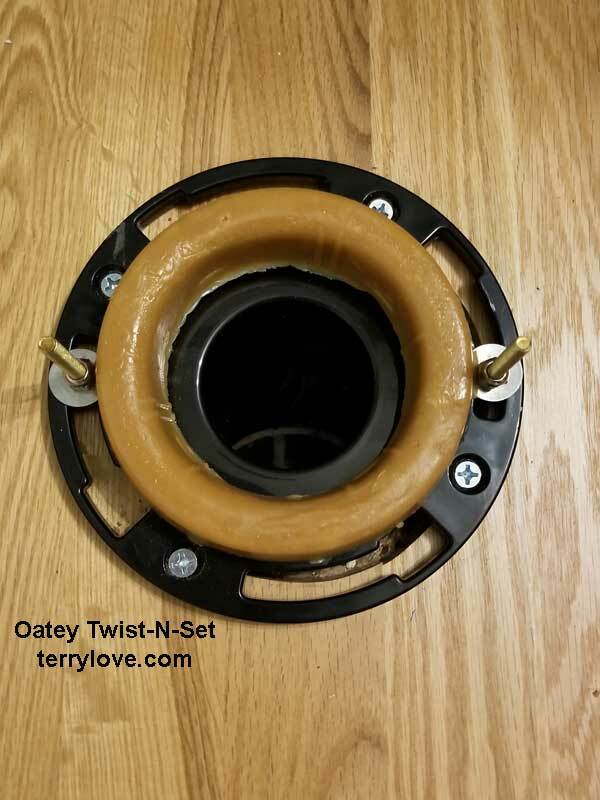 Terry's tip about attaching the waxless to the toilet rather than trying to set the toilet on the ring as the directions with the ring suggest, is a good one. "If I use the waxless by Fluidmaster, I push it on the bottom of the bowl. Sometimes if the flange is low, it can b"
Terry, how do you attach the gasket to the bottom of the bowl if it just has a rubber seal? It fits snuggly onto the outlet of the bowl. You just push it on. If you use the Fluidmaster waxless seal, push it onto the bottom of the bowl first. I've been using the waxless for a couple of years now in the apartments I own and manage. Last year I started to replace all the standard toilets with low-flush models because water has become one of our greatest costs. I find that the waxless are a quick easy way to install and after about 30 toilets I ahve yet to have one fail which is better than I got with wax rings. One fo the problems I have is with reliable help. In my area anyone with a pick-up truck is a handyman but few have any real skills. So while I can get help with some work I take care of the critical stuff myself. pros: Will make up for at least a couple of inches of flange-too-low. It is much preferred in this application to multiple wax rings. It is quicker that stacking up flange extenders. It will tolerate a flange that is not perfectly level with respect to the finished floor. cons: they cost more. Install can be tricky. I prefer Terry's method over the Fluidmaster instructions to use that hoaky little cardboard spacer. They have not been around long enough to know what the longevity of those fat rubber rings will be. Fine folks, I'd like to bump this thread and ask about something somewhat separate in regards to the regular wax ring vs. "wax free ring" debate. I was just watching DIY Network and they were instructing on installing tile floors that have radiant heat wires within the flooring ( btwn the tile backer board and the tile). It just so happens that they were using the same system I recently installed in my tile floors (Suntouch). One thing they mentioned is it is important to use the "wax-free ring systems" (they happened to show the Fluidmaster version) with heated flooring to prevent the heat from the floor melting the regular wax rings. I had never heard that before and would like to get some advice about this from the experts. Right now my upstairs toilet is installed with an extra thick regular wax ring with rubber flange reinforcement (to compensate for the thickness of the tile floor vs. the laminate floor that was there previously) and my downstairs toilet is yet to be installed. I was just getting ready to install the downstairs toilet when I saw this show on DIY. Thanks in advance for any and all advice. It's unlikely to be a problem unless you were really careless with your heat mat install or you let the floor get insanely hot. Since an un-airconditioned house could get into the low 100's and the wax seal doesn't fail...your floor shouldn't get that hot with the heat, I'd say it is irrelevant. Now, if you were using hot water, or the heating elements were touching it, maybe. Most of the time, the heating mat is not run under the toilet, and no floor should be hotter than body temp (and a lot generally lower), I don't see it as a problem. I have done many radiants and they all got wax rings, no issues. Only issue is if installer is stupid enough to take the manifold outlet for that zone into the bath and wrap it right around the flange area a few times. Just outside the footprint causes no issues I can see. I'm going to come up with a fix to all of this. It'll be on youtube soon enough. We as a world of technology can certainly do better than this traditional design of connecting a water closet to a plumbing system. Not trying to pester this but any update at this time? Thanks. 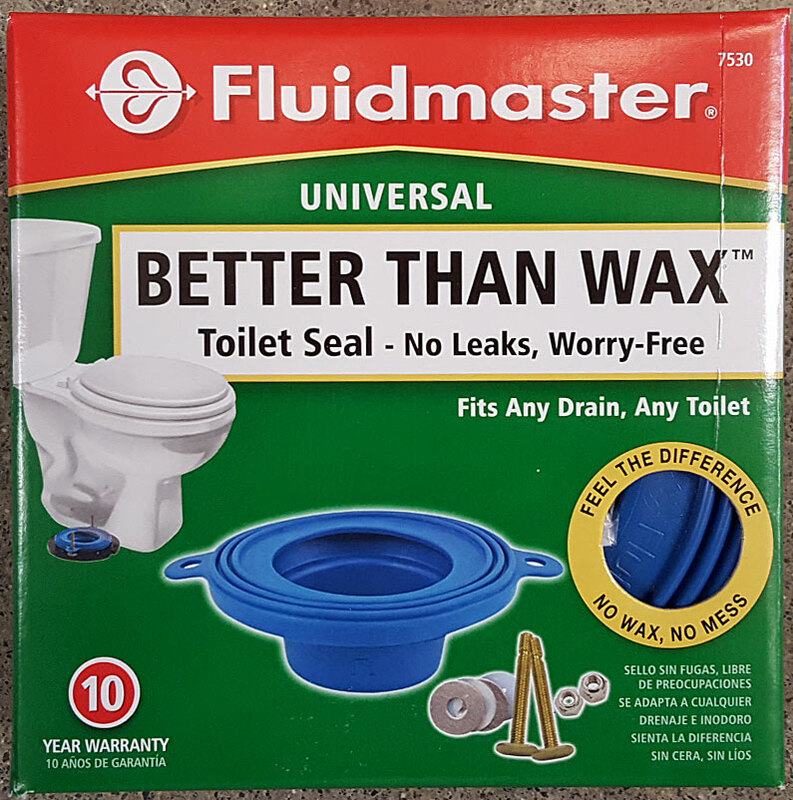 Will the fluidmaster wax fee gasket work on an 4x3 offset (2") toilet flange? Thank you in advance. The waxfree seals work by a funnel with a big o-ring on it to provide the seal against the sides of the pipe. I don't think there'd be any place for it to seal in a curved offset flange. Stick with wax.